Today I want to talk to you about a sublime white wine producer ! 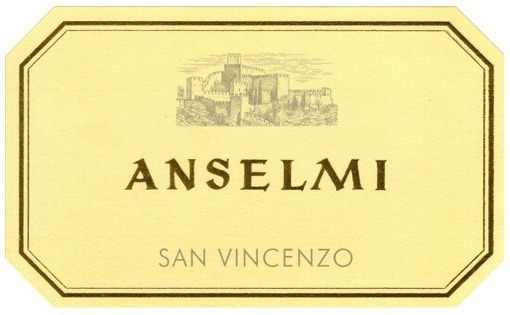 His name is Roberto Anselmi, one of the best Italian white wine producer. Roberto’s grandfather had been an excellent vine grower between the 1920s and 1945, but with the economic crisis linked to the World War he was forced to sell off all his vineyards and his father, who had continued working in the wine sector, had created a large winery for the bottling and sale of wine that he bought in, but without having his own land or vineyards. Roberto had always dreamt of buying back his grandfather’s vineyards and buying other land in order to produce his own wine. That dream soon came true and this great adventure began. He worked hard in order to give a better reputation and image of the Soave wine area across the world markets, but only partly succeeded because at the end of the 90s the radical changes in vine growing, which he strongly felt necessary with the advent of the DOCG label, were only marginal in the whole Soave area. He wanted more from the vine growers and wine makers of his area, an area that deserves such a lot, and perhaps he was misunderstood but he couldn’t accept compromises. For these reasons he decided to forego the Soave DOCG name with a famous open letter to the Consorzio and instead gave his wines the names of his vineyards: San Vincenzo, Realda, Capitel Foscarino and Capitel Croce.